07.09.2015 - Armenia's VivaCell-MTS has announced that it will no longer connect new customers to the Blackberry Complete and Blackberry Social plans. However, existing customers will be able to use their SMS calls and data plans under the same conditions. 26.08.2015 - Karabakh Telecom has started offering mobile internet services as well as SMS and calls in the mountainous Karabakh region. This is the biggest area for tourism in Armenia. These are possible through Armenia’s mobile operator Vivacell. It will be 45amb for data. 15.12.2013 - Armenia's VivaCell-MTS recently installed another 60 base stations - half GSM and half for 3G services. 27.02.2013 - Vivacell-MTS is offering unlimited mobile internet access for two years to customers who buy the Android based Hayphone. 20.01.2013 - VivaCell has started a MiFi Device that allows a 3G signal to be shared amongst five other devices over a Wi-Fi connection. Orange is offering additional mobile data allowances to new customers who sign an annual contract. 02.09.2012 - VivaCell is offering unlimited mobile internet access for the rest of the day to customers who consume at least 200MBs of download during the day - at a cost of AMD600. 31.08.2012 - Orange Armenia announced the appointment of Francis Gelibter as Chief Executive Officer of the company, following the departure of Bruno Duthoit, the founding CEO, who had led the company since January 2009. 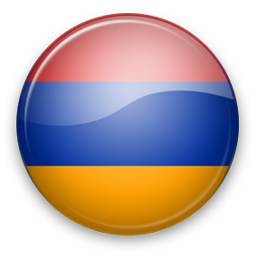 Q: Do you support all Armenia networks? A: We support Beeline, Karabakh, VivaCell-MTS and other networks. If some SMS network is missing please contact us and we will find solution for you. We work worldwide! Q: Do you allow to send marketing SMS? A: We allow to send information SMS, use SMSPM for SMS marketing services to your customers. Please don't send illegal SMS or spam. Q: How much does cost to use SMSPM? A: SMSPM.com doesn't have monthly fee or connection fee. It is free to have account, you will pay only for sent SMS. Q: How to integrate SMS API? A: You can find documentation and integration examples on SMS Gateway Service page.